Our purpose is to give under concession at least 15 beaches under the new rules for the next summer season. We have commenced preliminary steps for 60 beaches and are analysing which ones to lease and which ones to give under concession. Thus said today Minister of Tourism, Nikolina Angelkova, in Varna, at a meeting with beach concessionaires and lessees from the northern Black Sea coast, and representatives of tourism businesses. The Regional Governors of Varna and Bourgas, Stoyan Pasev and Detelina Nikolova, respectively, also took part in the discussion. „We propose grouping of the beaches wherein we will take into account the maximum possible details“, Minister Angelkova announced. This is envisaged in the draft bill for amendments and additions to the Black Sea Coast Spatial Development Act, which has been published for public discussions on the Ministry of Tourism’s website. 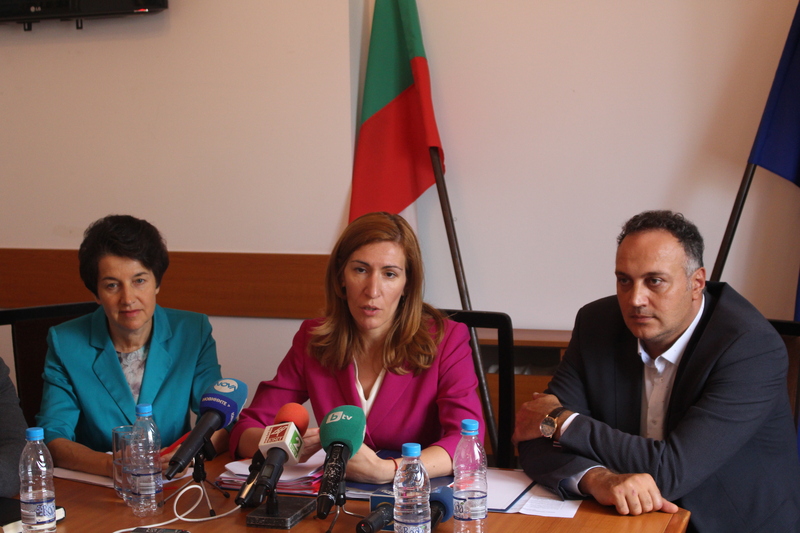 „We are also elaborating an ordinance to the Act, which will state what group each beach would go to in order to achieve balanced distribution of revenues and expenses“, Nikolina Angelkova explained. Responding to reporters’ questions, she explained that the northern Black Sea coast is experiencing a strong summer season. During this year’s H1 alone, Varna welcomed over 310 000 tourists, while Dobrich region – nearly 100 000 tourists. Total revenues from their night-stays exceed BGN 81 mil. o Group IV - Sea beaches of restricted use or designated for development of specialized types of tourism. Division of sea beaches into groups will be carried out based on a minimum set of fair criteria. These include the sea beach’s geographic location; degree of urbanization of territories appertaining to the sea beach, natural-climatic and environmental characteristics, proximity to tourism destinations. For the first three groups development of sub-groups is also proposed to contribute to those groups’ further detailed breakdown. Work is also done on the further sophistication and detailing of such differentiation in a dedicated ordinance under the Act.